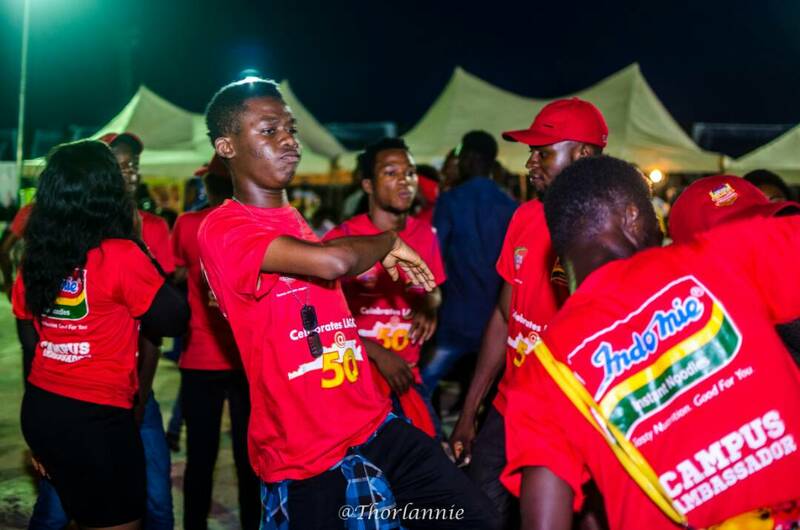 Home Features Red Party as Indomie Painted Lagos at 50 venue red! Red Party as Indomie Painted Lagos at 50 venue red! 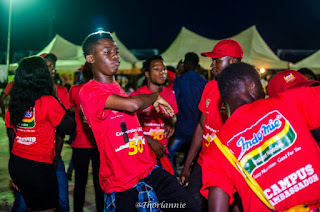 Jhonny Blaize, Indomie Campus Ambassador (Yabatech) having a good time at the Lagos at 50 show down by Indomie Nigeria. 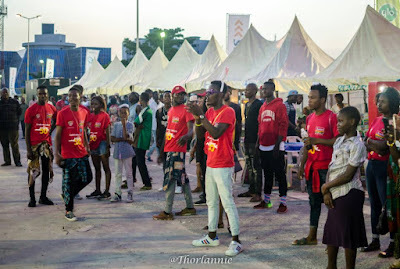 It became a Red Party as Indomie Nigeria painted the Lagos at 50 after party held at Eko Atlantic, Bar beach, red on Sunday, 28th May, 2017. 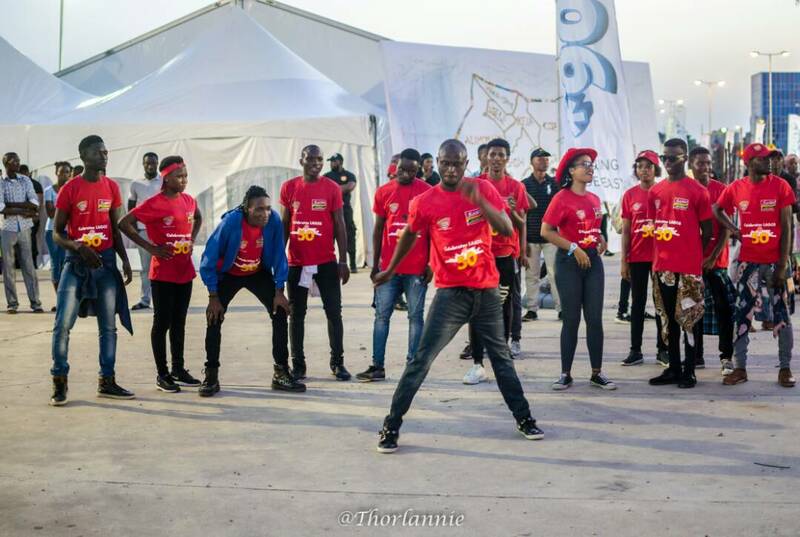 This was made possible by proper utilization of the companies' Campus Ambassadors and dancers who where all in the flashy indomie red shirt. 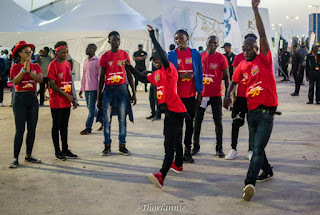 There was dance, giggling photo sessions which were all uploaded on the Indomie_nigeria Instagram page immediately, making it more fun (going to check if your photo have been uploaded), this was made possible by 'The SelfieBox Ng. 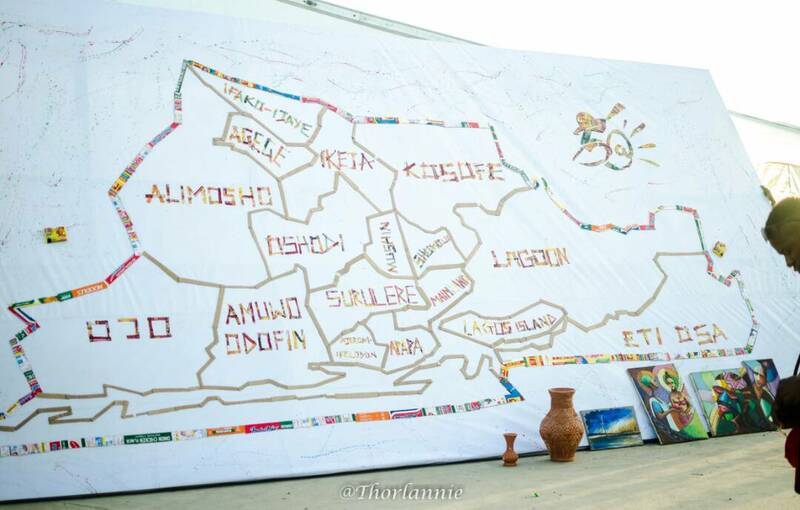 There was also the largest map of Lagos which served as backdrop for photos by Indomie Nigeria. Customers have never been so happy, just to mention a few. 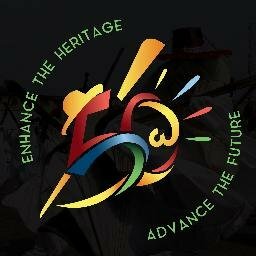 Now about Lagos at 50 Celebration which accumulated allegedly 50 billion naira, what has really changed or what has the state really achieved? When it comes to transportation, Lagos is the only state in Nigeria that you have to run to enter a bus and also run while alight. Though they still maintain the very best transport system - air, land and water and about land, railway is already taking about 60 per cent of the of the state. 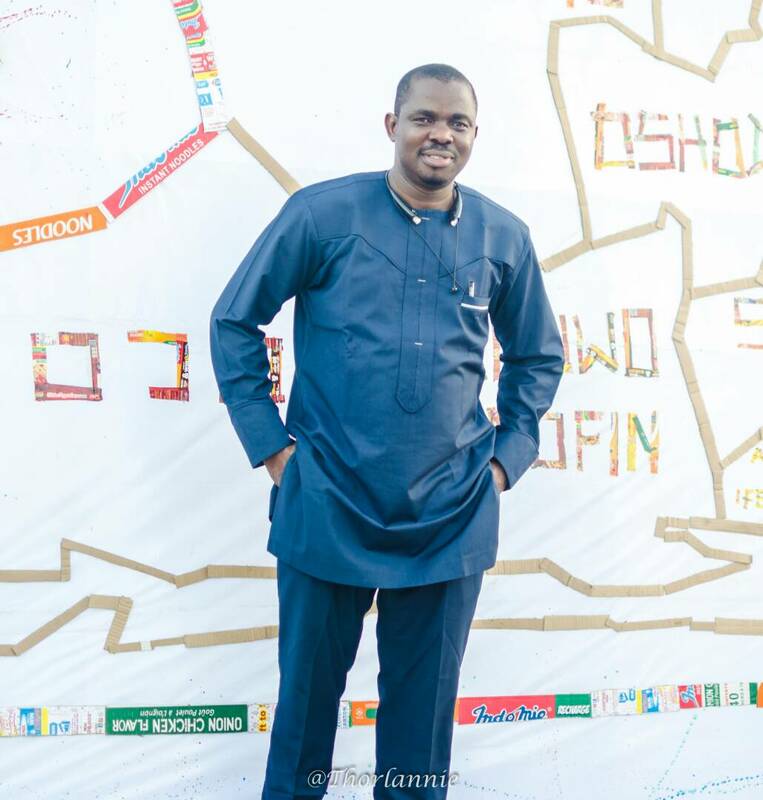 Lagos is the only state with the highest number of byelaws, it is also the only state with multiple task force doing the same thing, even though their functions are clearly stated. Eko as it is fondly called is the only state in which with one political party has dominated for over for over 20 years. 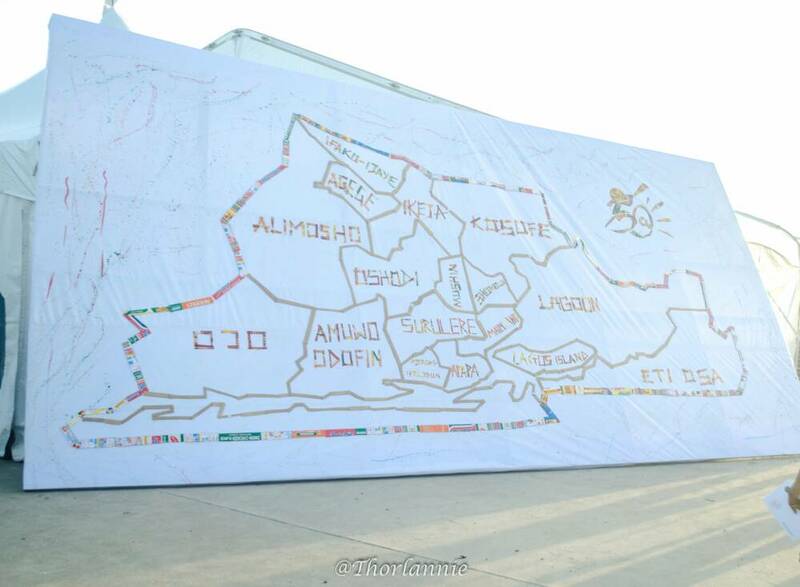 I think the All Progressive Congress (APC) starting from Ashiwaju Tinubu, have analyzed and mapped out plans on how to make Lagos better, therefore making it their own territory. 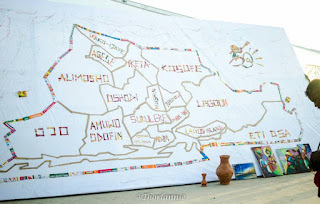 Lagos is one state that though highly advanced but still keep traditions. This is just to say a few. Well I like the new paintings and designs and paintings of the under bridges, it makes you feel like, how do you say it again? Yes, like 'moti de yanki'. Lol! The markets are also better as people are more secured and comfortable, though we I still advise the prices of these spaces be reduced. Lagos is not exceptional with crazy and funny officers but it still has the best personnels and best technologies, giving it a, say 40 per cent responsible and active team in fire fighting, anti-robbery, accidents and so on. 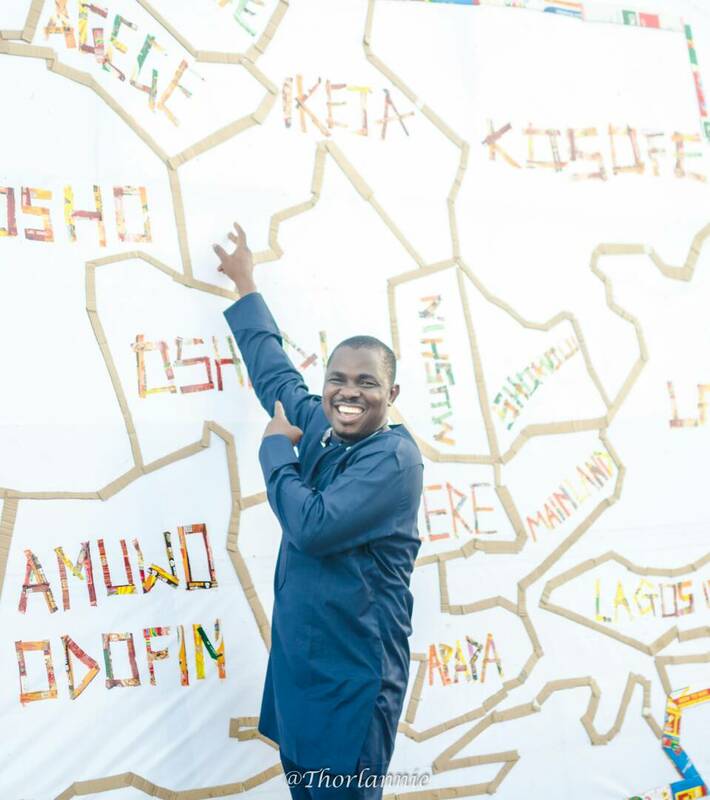 Irrespective of all...Eko O ni Baje!